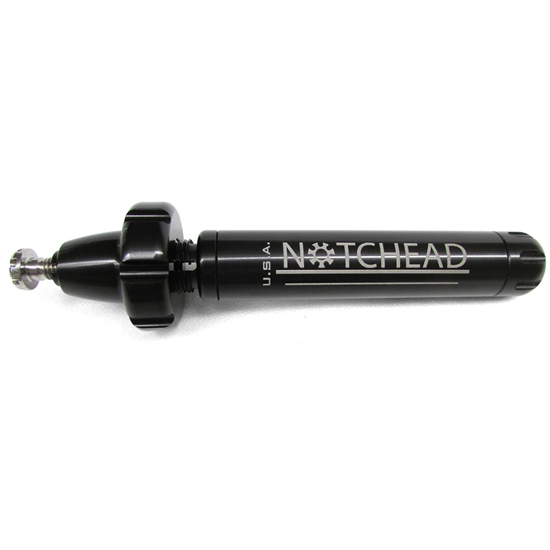 NotcHead Shop Grip makes polishing bolts quicker, safer and easier. The soft aluminum jaws quickly grip the threads of the bolt so the head can be polished 360° without damage. It secures the bolt evenly with a four-jaw chuck, preventing it from catching on the wheel and taking flight or burning your hands. After the desired finish is achieved, simply loosen the collar and drop out the hot bolt. Each collet fits a range of bolt sizes, in any thread pitch.